Happy St. Patrick’s Day! – Cin Cin, Let's Eat! Did you remember to wear something green today? 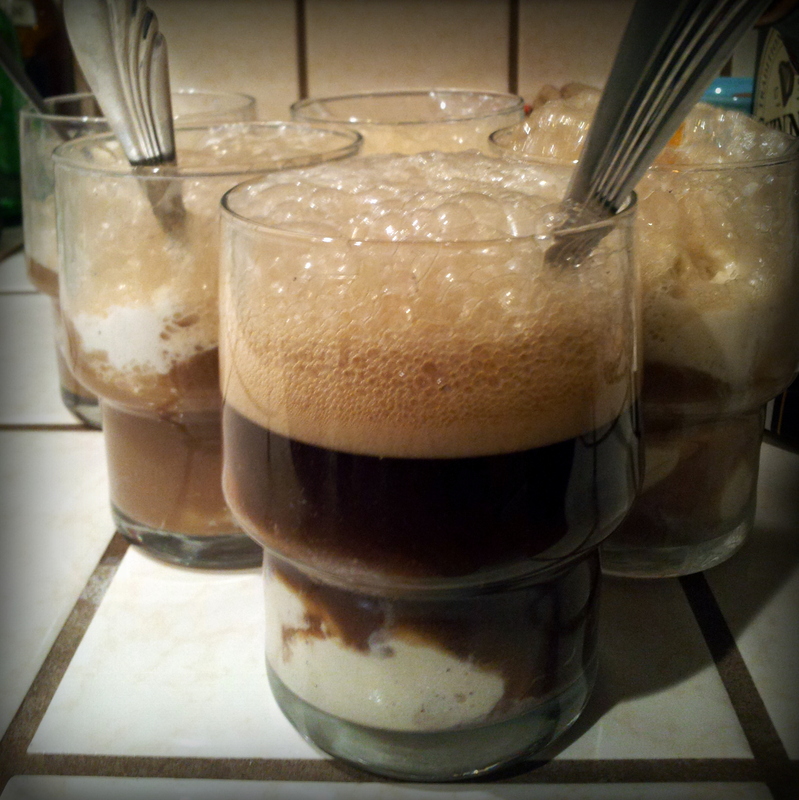 I love root beer floats and love to try out different brands of root beer, but every now and then I’ll come across one that’s too vanilla-y or too sweet for my taste. The genius thing about using Guinness is that its bitterness and chocolatey notes match perfectly with sweet ice cream, creating a nice balanced flavor. I usually just stick with plain French vanilla ice cream, but it’s also pretty awesome with other flavors like coffee or cookies ‘n creme. Oh, what makes it even more over-the-top delicious is a quick splash of Baileys or Kahlua! Whether you going out tonight celebrating or not, give this a try sometime. It’s also a perfect pick-me-up on a long work day… Yes, I’m speaking from experience!